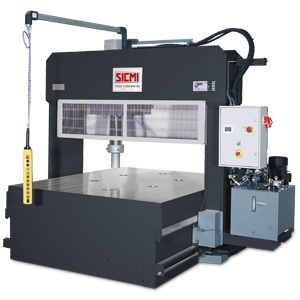 During the many years of experience in the field, SICMI has come to realize a catalog of 16 standard models of hydraulic presses. 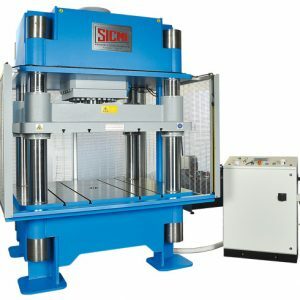 The machines are divided according to the type of sheet metal processing. The main fields of application are Molding, Straightening, Adjustments, Bending. But our great pride is also the special presses. 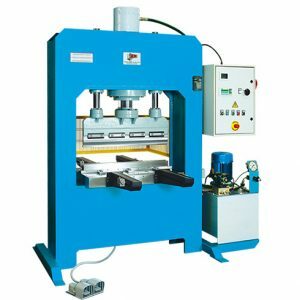 Starting from the standard models, we have come to realize customized hydraulic presses, specific to the precise needs of the customer. 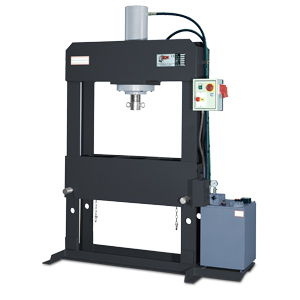 From the first SICMI PF hydraulic presses (the current PFF) to today, we have developed 16 standard models of hydraulic presses with different powers and dimensions, creating a catalog able to fully satisfy the needs of molding, bending and straightening.